Koi is such an unpredictable industry to be in and it is usually quite difficult to plan out what you would like to buy and from which farm. What is available from a certain farm in abundance one year can be nowhere to be found in the next. Rough drafts of what we would ideally like to procure will be drawn in the air, but we usually have to make sure that we have either backups or are willing to substitute one variety for another. That being said, we usually spend the first few days just going around all the farms on our list to see what is available for sale and if it is the right fit for us. Japan to me is more than just a place for us to buy Koi, it is also one big learning institution wherein your teachers are your friends and together you all inspire each other to continue promoting Koi. As the friendship between us and the breeders is nurtured, it becomes more and more apparent that the level of sales that we have to offer is infinitely less important to them than seeing the level of the Koi hobby bloom and grow around the world. Equal amounts of time is spent having coffee and conversation as is when picking Koi, and the knowledge that they so graciously share is always highly valued as our level of understand Koi and the industry grows. Our first stop of the day was at Oya Koi Farm, where we called earlier to ask if we could come look at their Koi. When we arrived there, the farm was busy doing sembetsu or sorting their fish. The great thing about seeing Koi at a breeder’s facility is that you see all of the Koi produced from the same spawn. 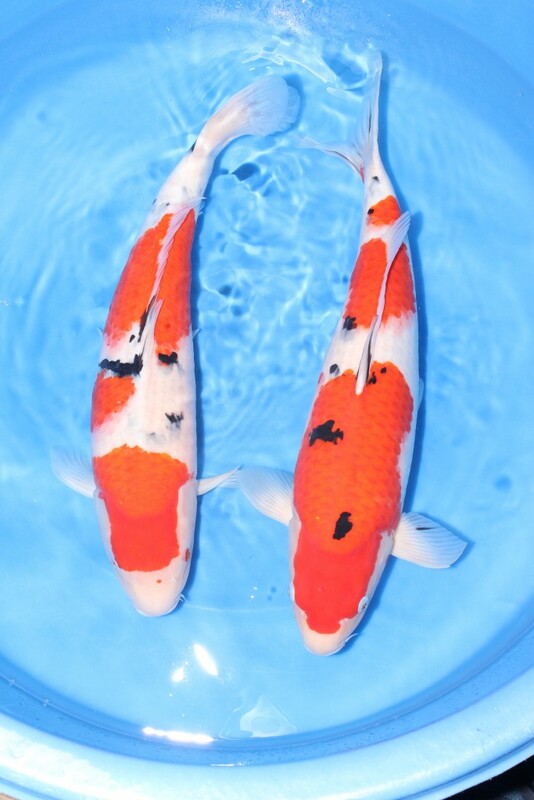 This gives you a good idea of what is the average “look” of each batch of Koi so you have a better gauge of what is normal among the spawn and what is exemplary. The produce of Oya Koi Farm has always been quite consistent in having a good framed body, but this year’s spawn was even better than before. 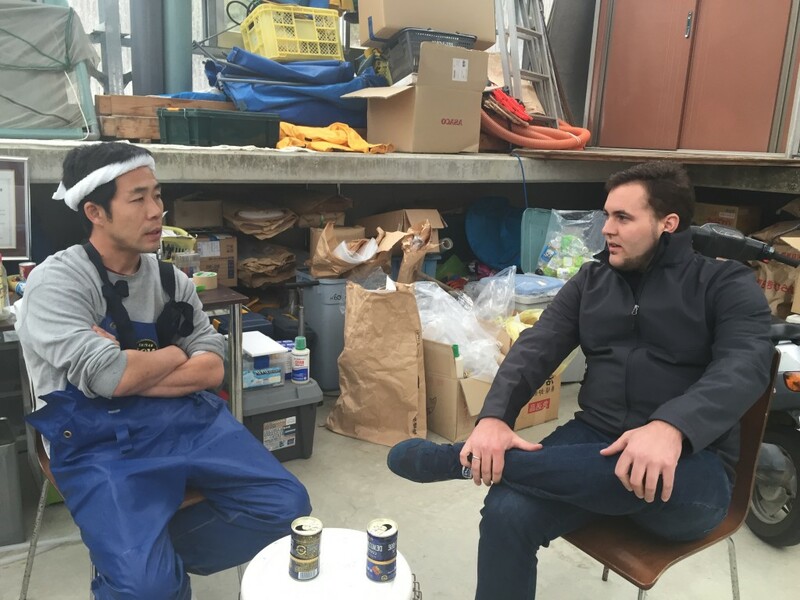 Knowing we would like to share this with the American market, we sat down with Taro and asked if he would set aside some Koi for us to select from at a later date. 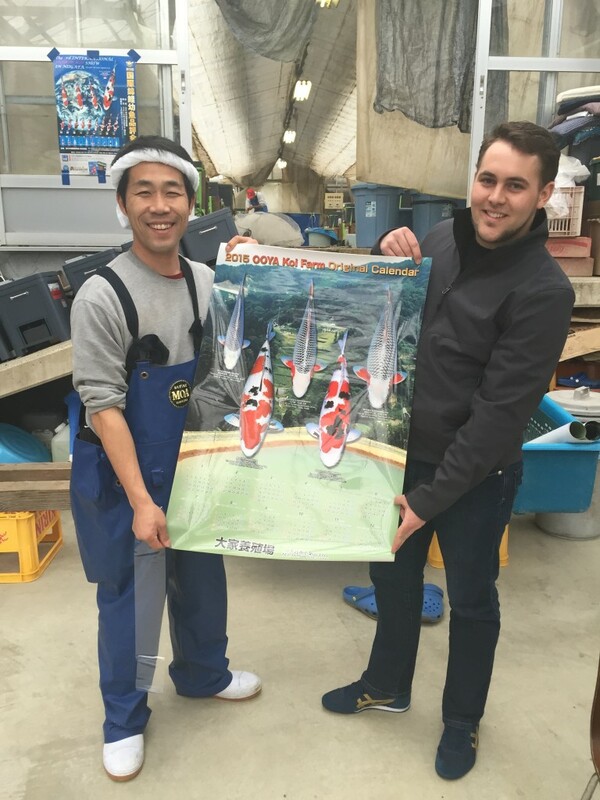 Thanking Kawakami-san for his Koi, we followed the road that led us to Nogami Koi Farm. Wouldn’t it be nice to have a pond like that in your backyard to call your own? If you look closely, you’ll see the the Niigata Nogyosai Grand Champion in that pond. On that note, if you return to the StandNextToMe Video at Isa Koi Farm, you’ll also see some award winning Koi in there. Can you tell which one?